When the weather is just right, there’s nothing better than hosting an event in your backyard. From birthday parties to cookouts to quiet nights around the fire pit, there’s something magical about spending time outside with family and friends. If your outdoor living space needs a little love, we can help. 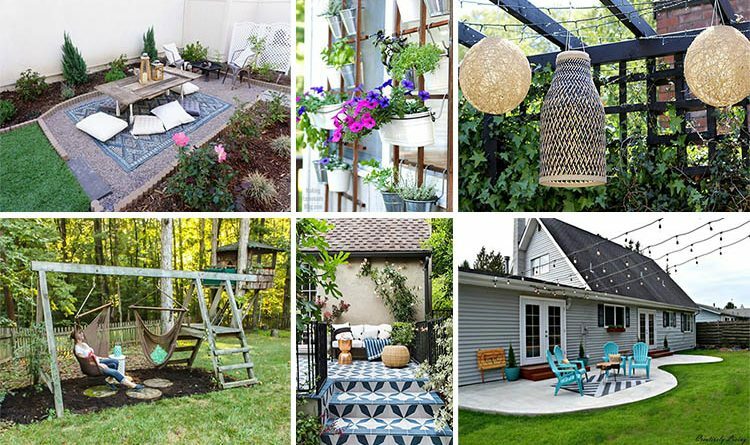 Whether you’re looking for a quick and easy update or a bigger DIY project, you’re sure to find inspiration for a backyard that beckons you and your guests to some quality time outdoors. If you’re looking for more yard decorating ideas, browse our home decor for personalized touches like outdoor pillows and flower pots. 5. Looking for backyard ideas that don’t require perfectly manicured grass? Check out this combination of sand, stone, and cacti.